We have recently been asked to produce labels for Sensory Garden plots in schools, to help students understand which of their senses will be stimulated, around the plants. These brightly coloured, rectangular engraved labels are supplied with a graphic to depict the sense and a single descriptive word. They are made from outdoor quality acrylic laminate. Measuring 200mm x 100mm x 1.5mm, and are supplied with 2 holes and fixings as standard. 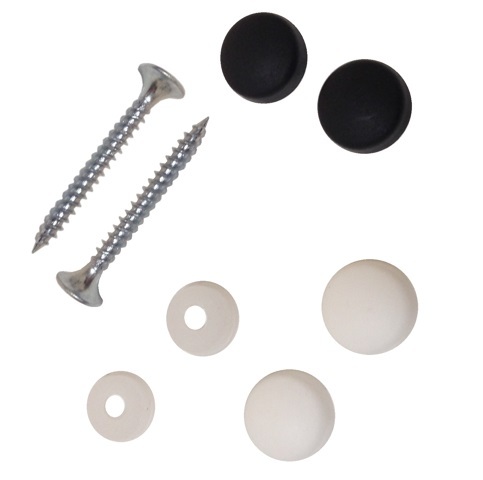 The decorative fixings supplied comprise of screws, collars and snap caps, in either black or white, to match the text colour. But, if you would rather position these labels directly into the ground. 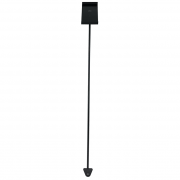 We recommend you use the dropdown above, to select NO FIXING HOLES and click the following link to purchase our 495mm long, black metal label holders to display your labels. Click here to view this product. 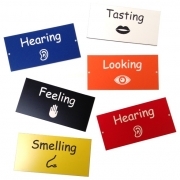 Please choose the sensory label(s) type you would like to order, select your colour and state whether holes are required, by using the dropdown menus. You are purchasing individual labels. Why not take advantage of our discounted price on the pack of 5 labels? Click here to view our Sensory Labels Multi-Pack. 100mm head Metal Plant Label Holder, 495mm stem length. 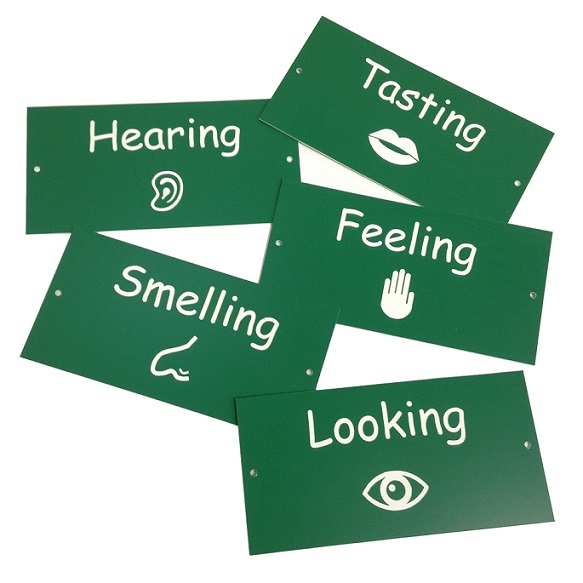 Engraved Sensory Garden Labels Multi-Pack supplied with tree fixings and snap caps.